Wayne's World - A presentation for "out of this world" using movies. This makes the trick more personal and humorous. Up to Three Packs a Day - A triple changing gum pack that ends with you giving the gum away. Kyle will also include a bonus effect where the gum is changed into a jumbo pack. Tickets Please - A hands off prediction effect using real movie theater tickets. Cheap Brands - A dollar bill visually becomes an origami folded t-shirt. Just as surprising, the origami t-shirt itself changes into a two dollar bill. Emergency Funds - A bill change that happens under the cellophane of a card box. Invisibly Triumphant 2.0 - A thought of card triumph routine. ACAAT - A handling of ACAAN that uses no math or estimation. Invisible Phantom - A thought of card becomes the only card in the deck and the rest become completely clear. 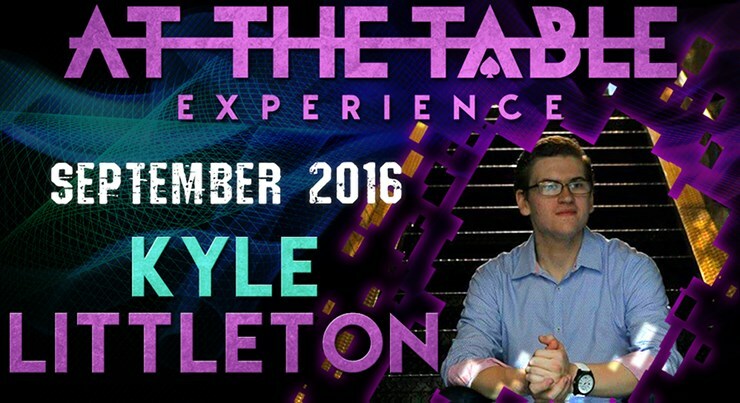 Kyle Littleton gave a good at the table lecture. This was pretty trick-heavy, which excited me because I love seeing if I can add new tricks to my repertoire. However, a lot of the tricks require gimmicks. The gum trick that Kyle taught is really strong, but I feel that magicians would have too much trouble constructing the gimmick. On the flip side, a lot Kyle's methods were all very clever, especially for Tickets Please, Invisible Phantom, Invisibly Triumphant 2.0, and Emergency Funds. One trick that I thought was not very strong was Cheap Brands. The effect just reminded me of a street trick that would not fool laymen. Also, Kyle Littleton did not teach ACAAT. I will be performing Tickets Please and Invisibly Triumphant 2.0. So is this lecture worth $7.95? I think it depends if you are willing to make the gimmicks for the tricks on the lecture. If you make the gimmicks and buy the materials for the tricks, I think the lecture will be worth $7.95. Really good lecture, though many tricks require gimmicks that you have to make. Still really good lecture with lots of good material in it. The lecture is worth a lot more then the asking price. Its very well put together and the explanations are great. Buy it , learn it and watch this amazing young man in action.